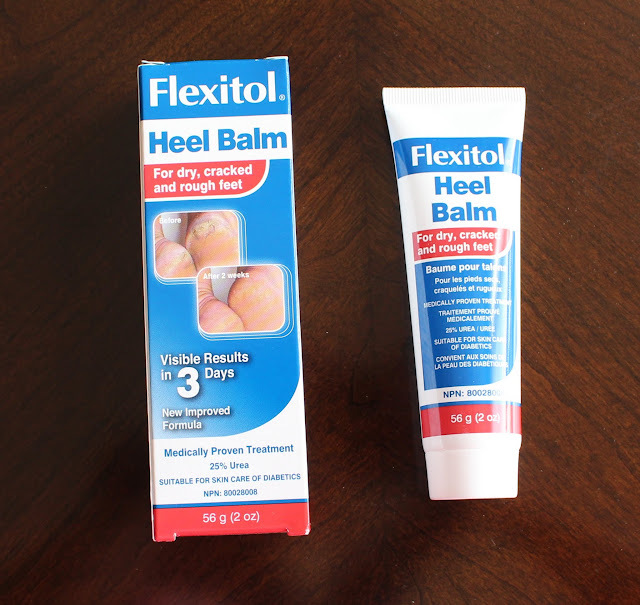 Flexitol is a medically proven treatment for rough & dry feet and is suitable for skincare of diabetics. Its formulated with 25% urea and is a unique blend of ingredients that hydrate, heal and protect heels and feet. Its completely non greasy and does not transfer on bed sheet, which is awesome. A little bit is needed for the entire foot. I just massage it and it absorbs quickly. When I rinse my feet with water (for ablution) I feel it on the surface of my skin, even after hours of application. So it truly does form a protective barrier that heals dry/cracked skin during the course of application. I started using this on my husband and even though, he strongly dislike foot creams, he still gave in to my reqibut. I tested it out and I felt that the calluses on his foot improved. I could never get him to make it a ritual to apply it twice a day, as recommended, but even with on and off application, it worked. The only thing I dislike is the strong medicine-like scent...and it lingers around for long. This one time, I applied it to my dry cuticles but I could not stand the scent of it and had to wash my hands.